But by the time the sun has set you realize you’ve only consumed a paltry two glasses. Here are a few tricks to stay hydrated. Upon rising, drink a large glass of water. Think about it. You have been asleep for at least eight hours and haven’t had a single drop of water. Your body is dehydrated. Drinking a robust amount of water in the morning combats that dehydration. While at work do you notice that you easily forget to drink water? I like to take a sip of water every time I do something repetitive. Designate something that you do often as your trigger. This is an easy way to remember to drink water. Oh, the problem is that you don’t enjoy the taste of water? I hear that a lot. Try adding lemon, ginger, honey, or all of the above for a refreshing drink. Get creative and make some mint ice cubes to add to your water. Try to keep your additives natural. Powders sometimes have nasty chemicals added to them that can cause bloating or headaches. Drink a large amount of water BEFORE eating. 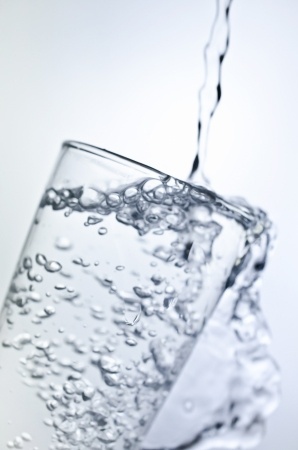 When we drink lots of water while we eat, our enzymes get washed away and don’t deliver the nutrients in our food. What a waste of calories! Your skin loves it when you drink water. LED FACIALS Holistic Facials in Peoria? Yes! Looking for a non-invasive way. Green Tea: Healthy Skin with Benefits Did you know drinking 2-3 cups. The Secret to Beautiful Skin Lies in Your … Grocery List? . What To Expect at Your First Brazilian Wax Hard Wax Vs. Cloth. I talk a lot about lifestyle and its correlation to healthy skin..